The Rockefeller family are one of the biggest funders in Alexandria Ocasio-Cortez’s Green New Deal – an environmental program determined to impose far-left social and economic reforms in America. The program was devised by the Sunrise Movement, a mysterious environmentalist organization that wields enormous influence in Washington, D.C.
Dailycaller.com reports: Founded in April 2017, the Sunrise Movement is a newcomer among the many green organizations that have already been established for generations. However, the youth-led climate group quickly garnered national attention and high-dollar donations from across the country. Between its 501(c)(3) and 501(c)(4) entities, the group was able to raise just shy of $1 million during 2018 — and members intend to raise $2.5 million in 2019. Despite growing attention from the media, it’s been difficult to pinpoint exactly who is funding the Sunrise Movement. The group is not legally required to disclose its donors. However, a recent report from Inside Philanthropy, an outlet focused on philanthropic groups and their big donors, shed some light. The Rockefeller Fund, the Wallace Global Fund and the Winslow Foundation are core funders of Sunrise Movement. The three groups have continued to finance a large portion of Sunrise’s operations, with institutional funders making up 55 percent of the group’s 2018 budget. Thirty-five percent of its budget came from individual donors, and the rest came from non-profit partners. Sunrise’s core funders have a long history of bankrolling left-wing activities. The Global Wallace Fund has given nearly $7 million to population control groups since the 1990s. The Rockefeller Family Fund has led a war against ExxonMobil, acknowledging it has colluded with Democratic attorneys general and funded negative media coverage against the oil company, The Daily Caller News Foundation previously reported. Sunrise, which has been an ardent supporter of the Green New Deal, protested outside now-House Speaker Nancy Pelosi’s office late in 2018, demanding she take more action on climate change. 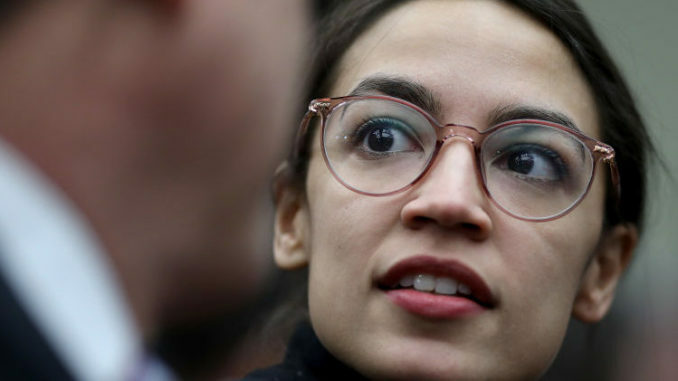 Its efforts received widespread attention when Alexandria Ocasio-Cortez — now a New York Democratic congresswoman — joined them in protest. The group enjoyed a surge in donations after the protest. At least some of the salaries for Sunrise Movement staffers, according to Inside Philanthropies, are not based on conventional compensation agreements, but on what members claim they need to support themselves.